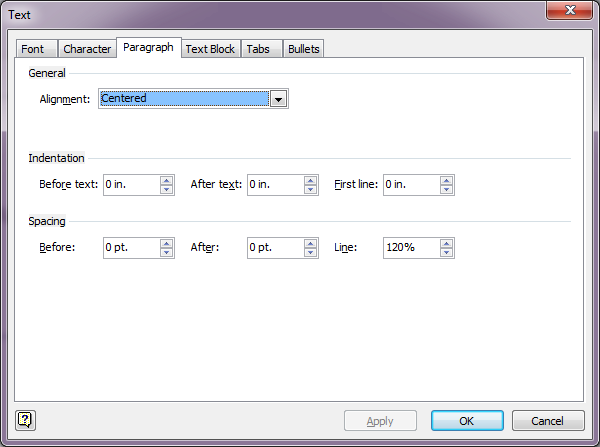 In Part 1 I covered some of the underlying terms and concepts required to play with textboxes. I suggest reading this before the other parts, since this is a continuation! In Part 2 (this post) I’m looking at whether the changes discussed can be implemented without touching a shapesheet in the first place, and look at some of the issues that can arise by doing so. In Part 1, we looked at moving a textbox around in relation to its parent object, and discovered that it’s possible to have it attached pretty much anywhere you want, so long as you can understand what you are moving. By way of an analogy we pretended that the parent object (a square in our example) is like a noticeboard, and its textbox is like a sheet of paper that gets pinned to the noticeboard. You get to choose not only where to put the thumb tack through the paper, but also where to pin the tack into the board – or, if you like, pinning it into the wall around the board instead. 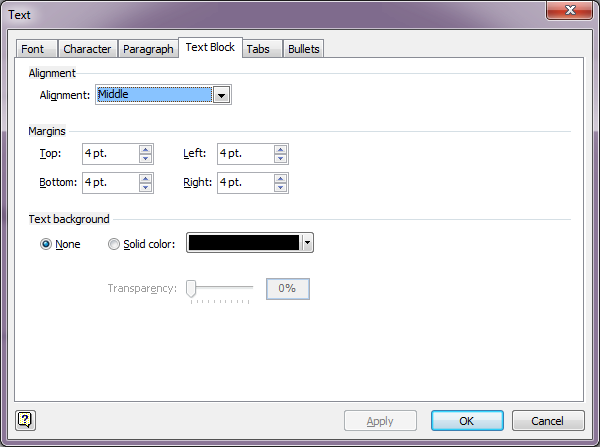 On top of that of course – though not explicitly discussed – you can align the writing on your paper vertically (top, middle, bottom) and horizontally (left, center, right, full), depending in your needs. Again, while this represents vertical alignment, it is simply labeled “Alignment” – not helpful when you are searching for the right option. Still, opening this tab has also helped us to find the border options which Visio calls Margins. You will recall from Part 1 that the textbox in a shape has a whitespace border on the inside that keeps text away from the edge. If you don’t want or need one of those border spaces, here’s where you can edit these without going into the shapesheet. 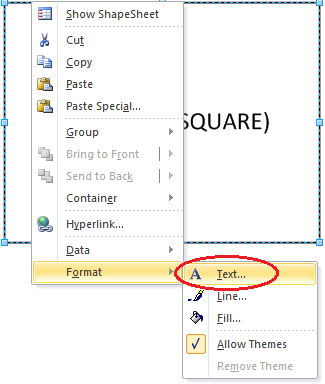 What’s missing from the square object is the ability to move the textbox in relation to the square itself. Let’s take a look at another object then. Success! Note that the yellow diamond is centered in the textbox part of the object after it’s moved; from that we can conclude that when the diamond is moved, it’s changing the place that the paper is pinned to the noticeboard, not the position it’s stuck through the paper – in other words, we are affecting TxtPinX and TxtPinY, rather than TxtLocPinX and TxtLocPinY. 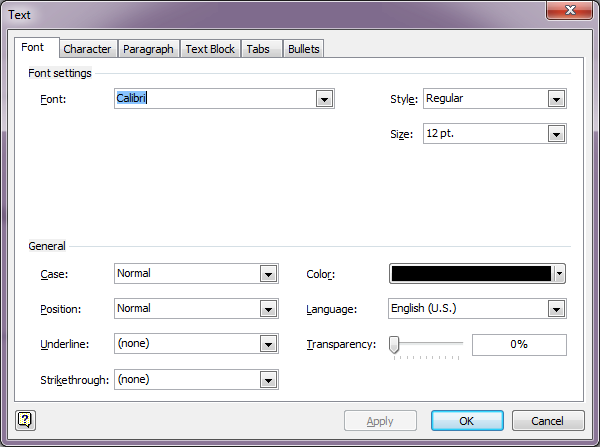 The default X and Y values for the control when the icon is first placed are (Width*0.5, -TxtHeight*0.5) – that is, centered horizontally, and half the height of the textbox below the bottom of the object. This behavior may be desirable in some circumstances (for example, having the text a fixed distance from the right of the object is very helpful), but may be significantly less helpful in others. Without using the shapesheet, you have only one kind of positional control: the one that’s offered to you. 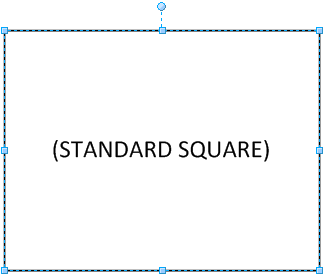 Other controls are as for the square; text formatting and alignment is the same for pretty much every object in Visio. If that makes your brain hurt, don’t worry about it; what I wanted to demonstrate is that not only can a shapesheet include variables based on object properties, but it can also run functions on the data (again, like Excel). This particular equation is a fancy way or figuring out whether a shape has been flipped before adjusting the angle to keep the text horizontal. If I remember, I will demonstrate what happens when you don’t account for object flipping in Part 3 (or, as is looking increasingly likely, in Part 4 for anybody who is still awake ;-)). I guess the takeaway I’d leave you with is that you can do simple things using the GUI, but anything more complex probably means using the shapesheet. We looked at two common objects and found limitations with both. Dragging things around is a supremely vague way to manipulate things; that’s why we have things like “Snap to Grid” and suggested alignment to other objects (in later version of Visio). Using a snapesheet to manipulate objects versus dragging controls around is roughly equivalent to the difference between “2+2=4” and “2 + somewhere close to 2 is somewhere roughly around 4-ish I think“. It might not matter if you are only changing a single object, but when you are working with many objects in a Visio workbook, having consistency and predictability makes a huge difference. Until Part 3, happy Visio-ing.